Austin-based Mellow Johnny’s Bike Shop, co-owned by Lance Armstrong, has expanded, choosing Fort Worth for shop No. 2. The new Mellow Johnny's location opened October 3 in Fort Worth’s Trailhead at Clearfork, at 4801 Edwards Ranch Rd. 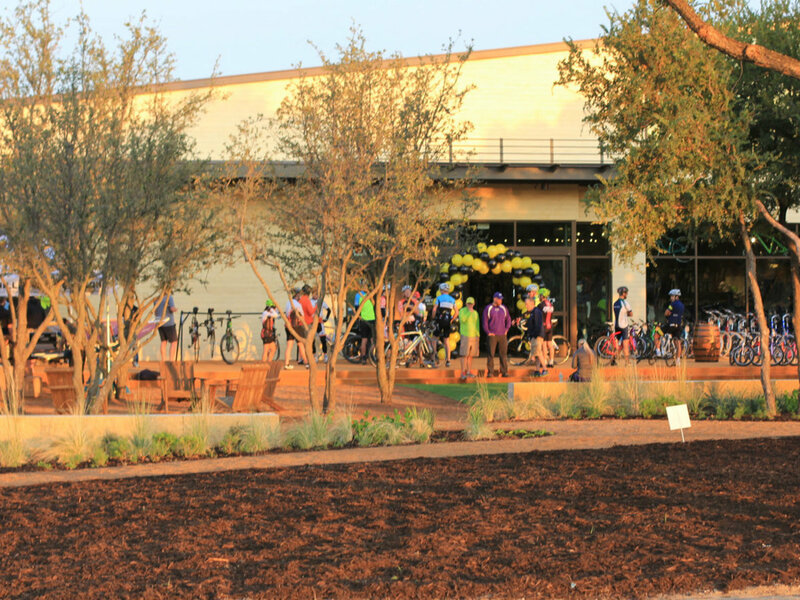 Serving as the cycling and fitness component of the Trailhead, the Fort Worth showroom is stocked with mountain, hybrid, and kids bikes, as well as accessories and fitness and lifestyle apparel. The shop also offers repair services. It will begin as a Specialized Elite dealer and carry brands such as Moots, Poc, Shimano, and Oakley. Mellow Johnny’s also will work to promote the overall cycling lifestyle in Fort Worth like it does in Austin with training, rides, and clinics. “With their vast experience and brand distinction, Mellow Johnny’s will help heighten and promote cycling at Clearfork, on the trails, and within our city,” said Trailhead developer Cassco Development Co. in a release. Located on the Trinity River, the Trailhead is connected to 40 miles of hike-and-bike trails, and it is designed as a starting and stopping point for all things fitness. Pedal Hard Training, an indoor training center from professional cyclist Kevin Livingston, is scheduled to open in the space this fall. The Trailhead sits in the Clearfork development, a piece of the legendary 7,000 acres previously owned by the Edwards family. Trailhead neighbors will include luxury apartments, the Kelton at Clearfork, and a 500,000-square-foot open-air shopping, dining, and entertainment venue called the Shops at Clearfork, which is slated for an early 2017 grand opening. In December 2014, Neiman Marcus announced plans to move from its long-standing Ridgmar Mall location to a 90,000-square-foot, build-to-suit store in the Shops at Clearfork. The 270-acre luxury shopping center has been compared to The Domain in Austin, and execs with owner Simon Property Group have hinted that Mellow Johnny’s might not be the last Austin transplant we will see in the Clearfork development.